Why is Stress Good & Bad? 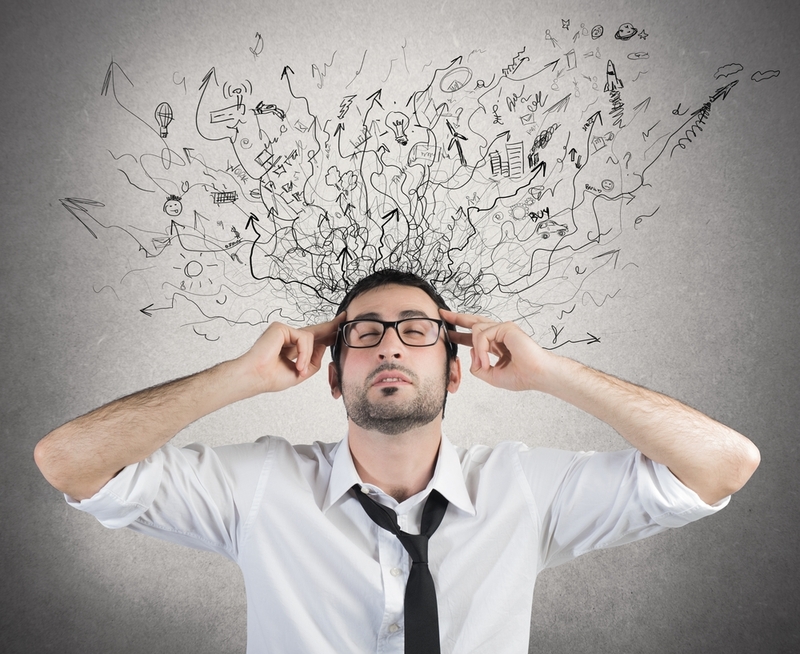 When you think of the word “stress,” what is your initial reaction? Many of us have mixed feelings when we think about stress, and many of us believe that we are stressed when in reality we are only experiencing a sense of too much going on at once. Stress, in its truest form, is not good in the slightest, because it can lead to many health issues which have negative connotations for both the body and mind. However, with that in mind, we must ask if a certain degree of stress be a good thing? We should really figure out what stress is before we go any further. Stress is a feeling of too much pressure; simply too much to deal with, and it leaves you feeling that you can’t cope, either physically, mentally, or both. Excessive stress is negative, as we mentioned, but a small amount of stress can be a motivating factor. It’s important to realize that many people measure stress in different ways, so what stresses one person out, might not even bother someone else – it’s a totally personal deal. Let’s deal with the positives first. A small amount of stress can be, as we mentioned, motivating, because it can push you to go beyond what you thought were your limits, meaning you achieve something you thought was out of reach. This is a good thing! If you are feeling stressed about a certain issue, then it could be that something is trying to tell you that you need to deal with it, when in your mind you are avoiding the issue. In this instance, a certain amount of stress can be trying to teach a lesson that you need to take notice of in order to move to a calmer state of mind and being. Maybe it’s your subconscious trying to tell you something, but if you are supposed to deal with an issue and you don’t, negativity is not going to go away. So, to sum it up, a small amount of stress can basically be an indicator that something isn’t quite right, and this then gives you the opportunity to right the problem and move on. Stress is generally not widely known for its good side and is much more widely known for its negative side. A significant amount of stress can be dangerous, because as your stress levels rise, so do the stress levels in your body (cortisol, to name just one) and that, in turn, causes your blood pressure to rise. If you know anything about heart issues and stroke, you will be aware that increased blood pressure has a big role to play in the risk factors for such dangerous conditions. As you can see, none of those issues are welcome! A genuinely stressed out person will not want to socialize, and they will certainly not be able to concentrate on anything for longer than a few seconds. Everything and anything really! The main causes of stress generally have to do with work, relationships, family problems, and money issues, although it’s perfectly acceptable to feel stressed over a different situation in your life too. Stress is personal and totally individual. One of the other main causes of stress is living in the future too much. It’s true to say that if you are living in the past, you are sad and regretful, if you are living in the future you are anxious and fearful, and if you are living in the present, you are at peace. So, surely it’s as easy as learning to live in the here and now? Well yes, but is it that simple? No! If your brain is used to thinking in a certain way, then you need to re-train it, and that is going to take time and effort. For every single negative thought that enters your mind, you need to replace it with a positive, and that means being mindful and grounded for every second of the day while you’re re-training your mind. Yes, it can be tiring, but it’s certainly a worthwhile process, because over time you will find that positivity becomes second nature, and as a result, you will feel infinitely less stressed. So, do you consider stress to be bad or good? You could argue that it’s both to a degree, but it really depends on how stressed you are in general. If you are too stressed and it is causing you physical, mental, or emotional problems, then you are too stressed, and you need to take action. However, if you feel just a little ragged, e.g., you have a lot to do, then you can learn to use your minimal stress to push you to achieve everything you need to do. Motivational stress is a wonderful thing; negative stress is not – learn to know the difference. Next PostNext Did you know that you can practice Yoga online for free?